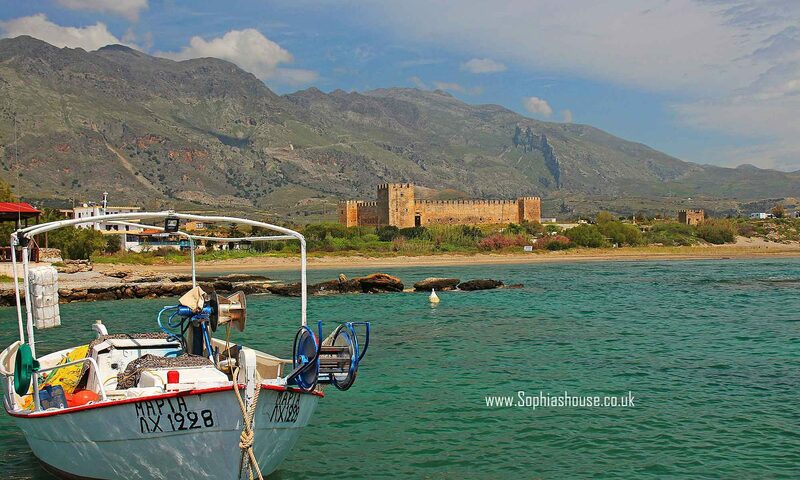 Frangokastello is situated on the south western coast of Crete. 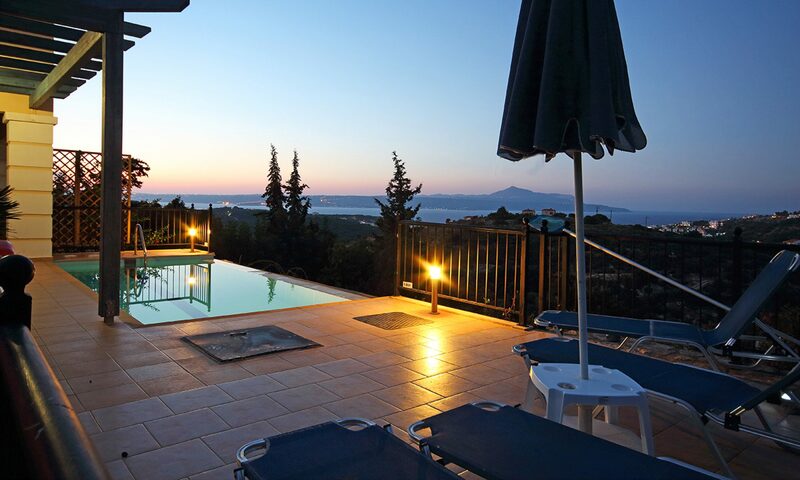 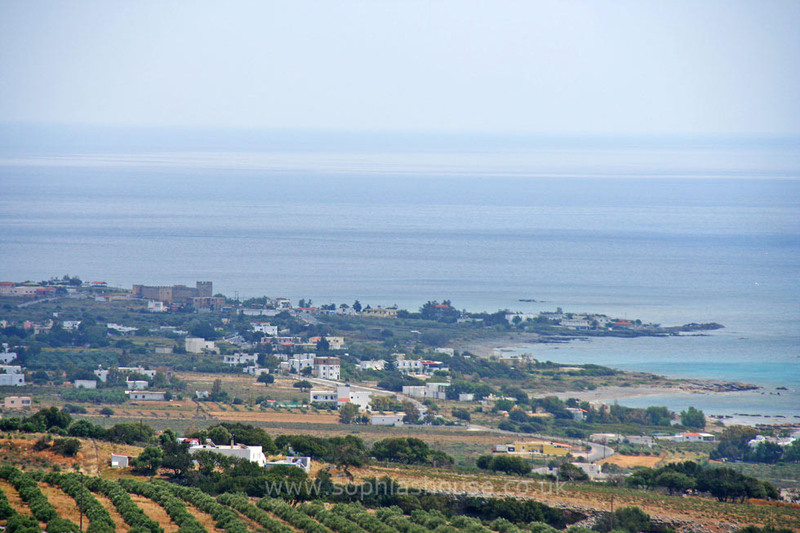 Frangokastello is a little seaside village that sits on a small plain, overlooking are the majestic white mountains. The scenery is amazing in this area, it offers a lush landscape, deep gorges and impressive mountain ranges. 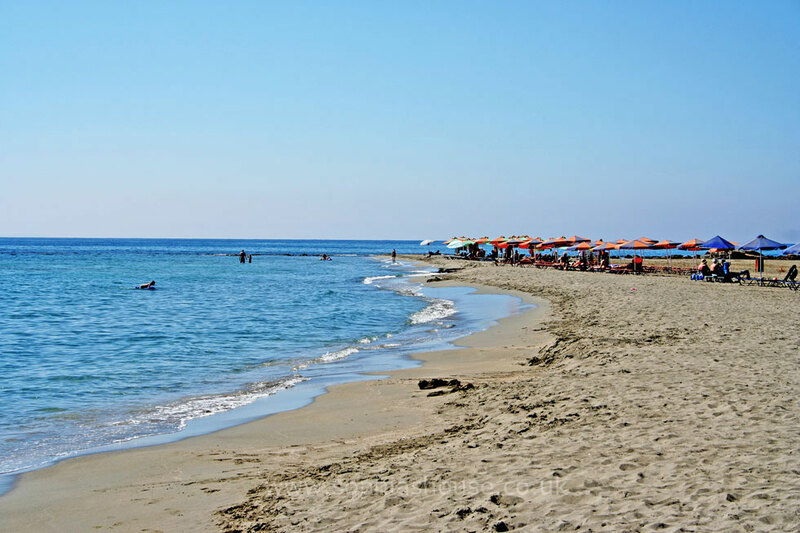 The village takes its name from the famous Venetian castle situated close to the seashore, in local terms it is known as ‘Kastelli Fragon’ (the castle of the Franks), others believe the name comes from the Italian for ‘brave castle’ (castle Franco). 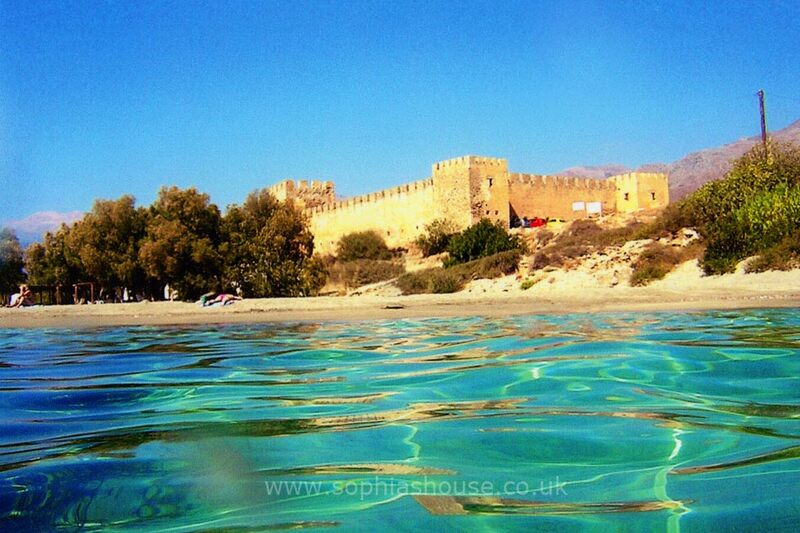 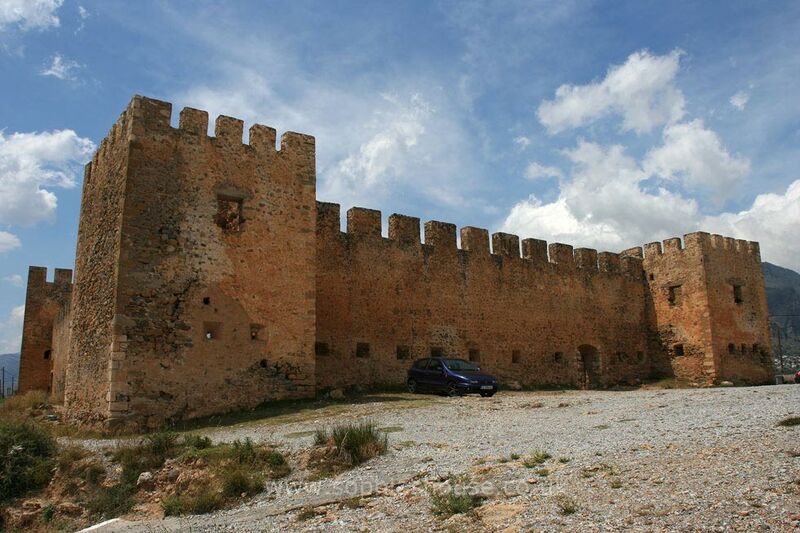 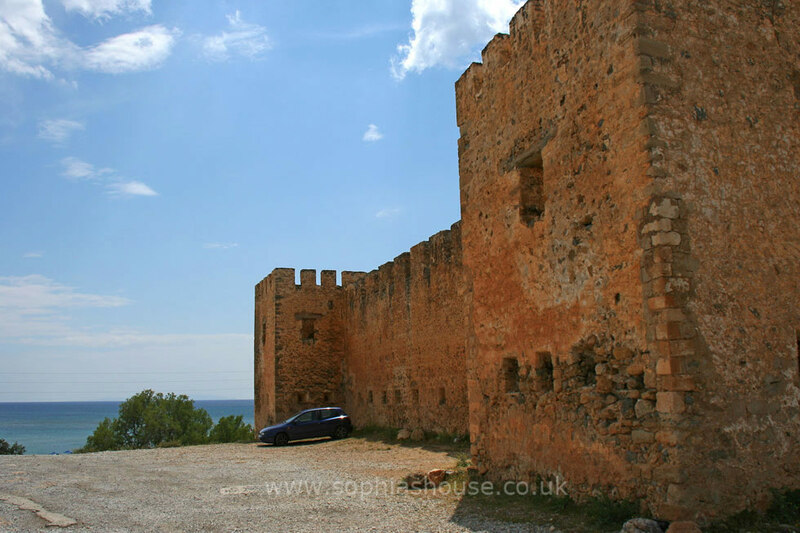 The castle was built in 1371 to provide a refuge for the locals from the invading Turks, pirates and other invaders. 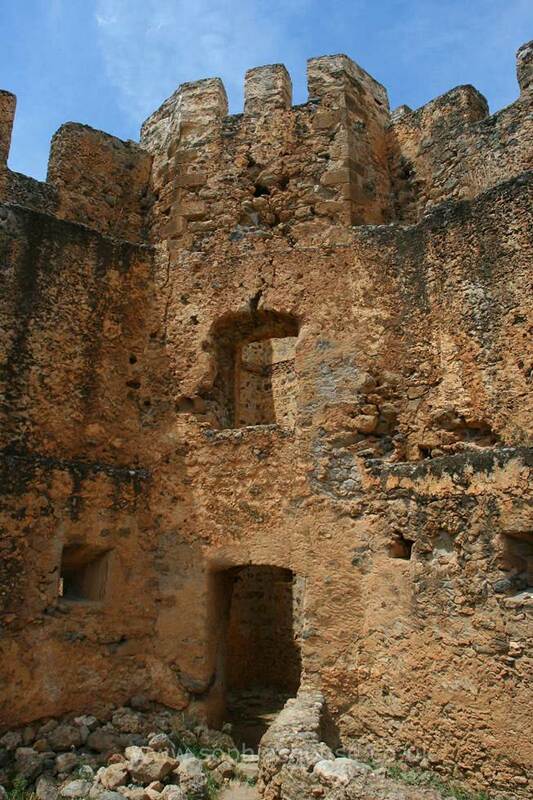 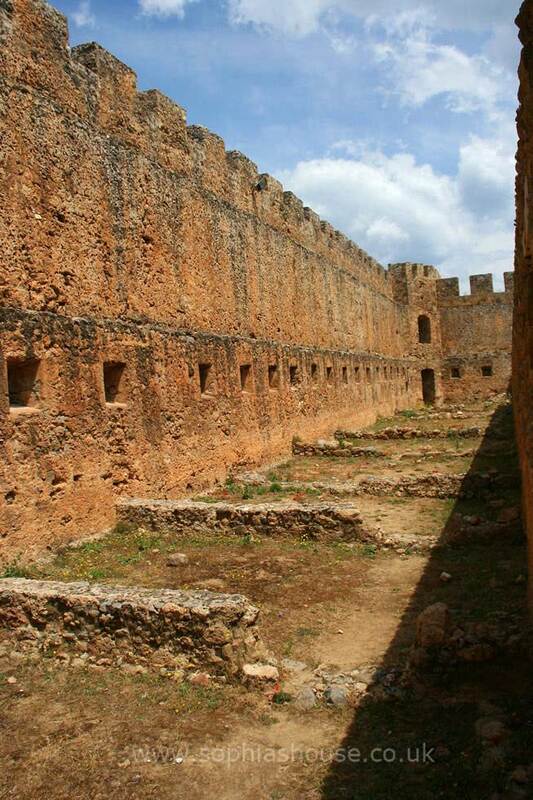 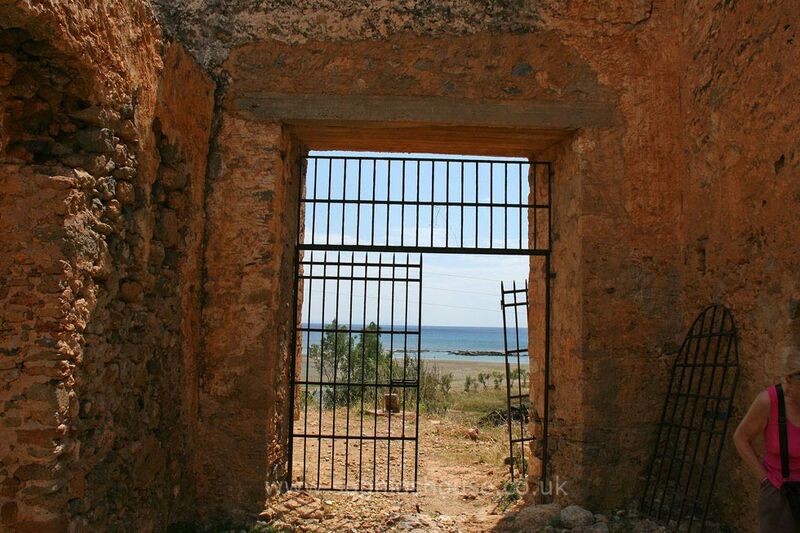 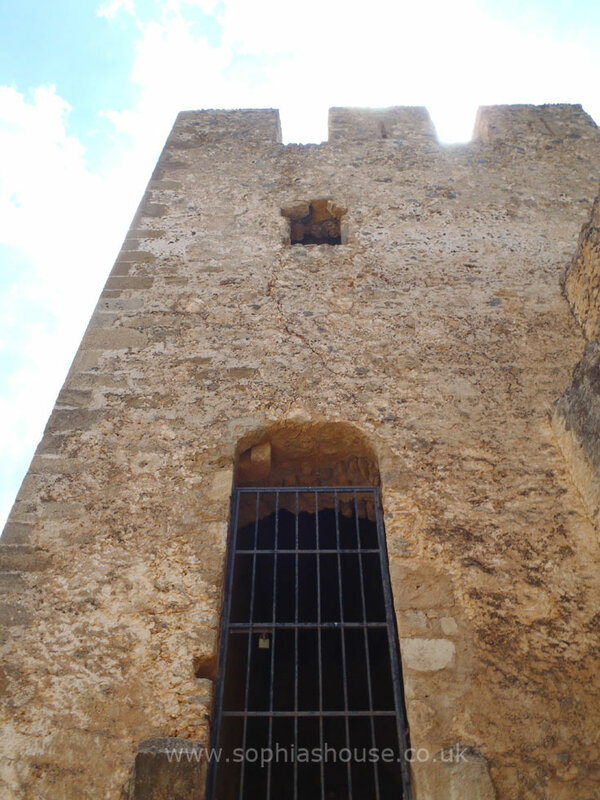 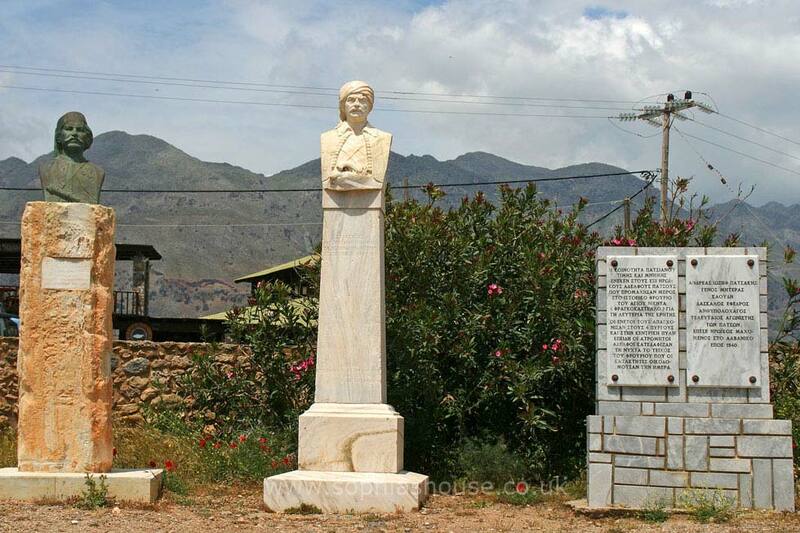 In 1828 during the fight for Crete’s independence, Hadzi Michali Daliani and his comrades fought within the fortress. 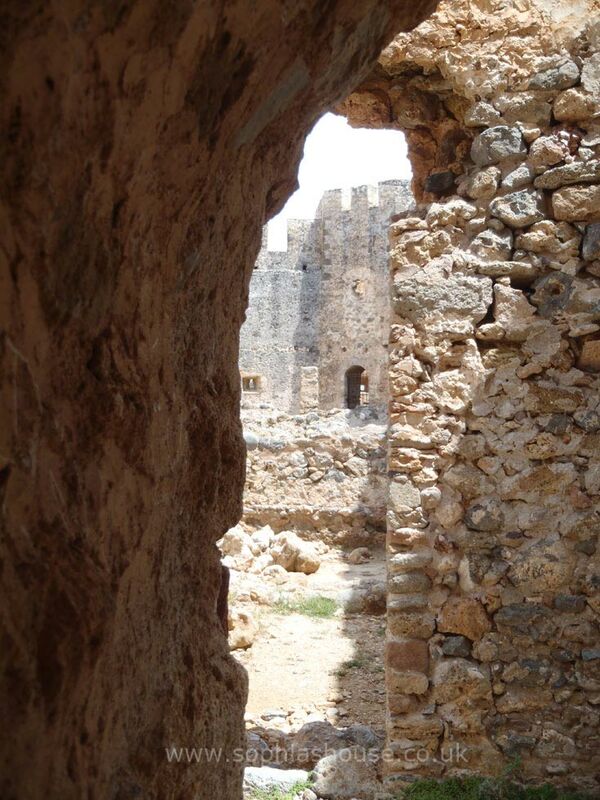 They were slaughtered by the Turkish invaders. 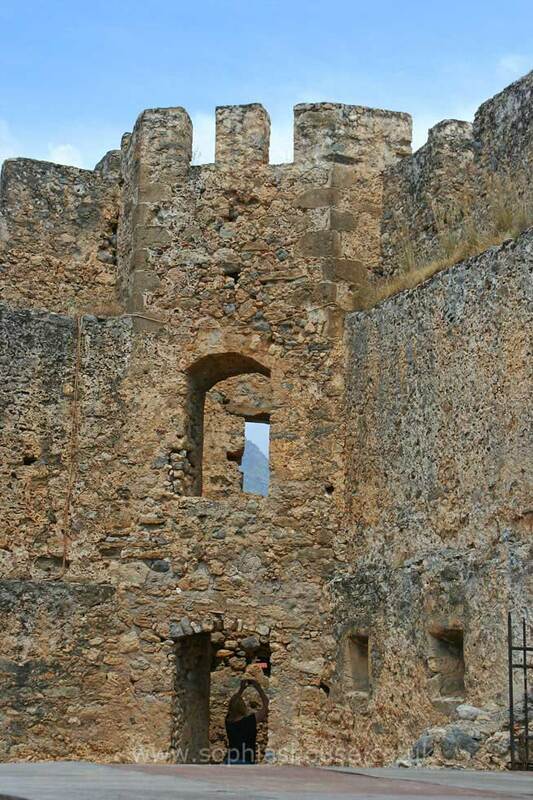 The lost souls of these brave men,(ghost’s of Daliani) are said to march out from the castle, as day dawn’s throughout the month of May. 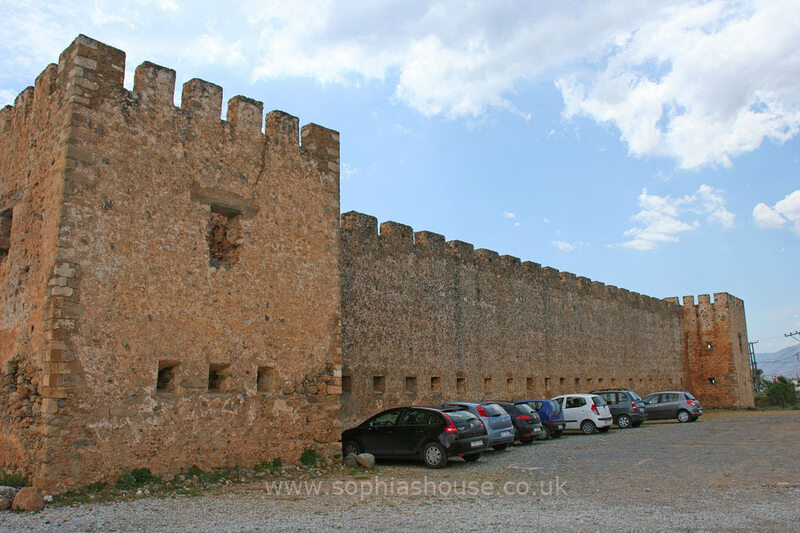 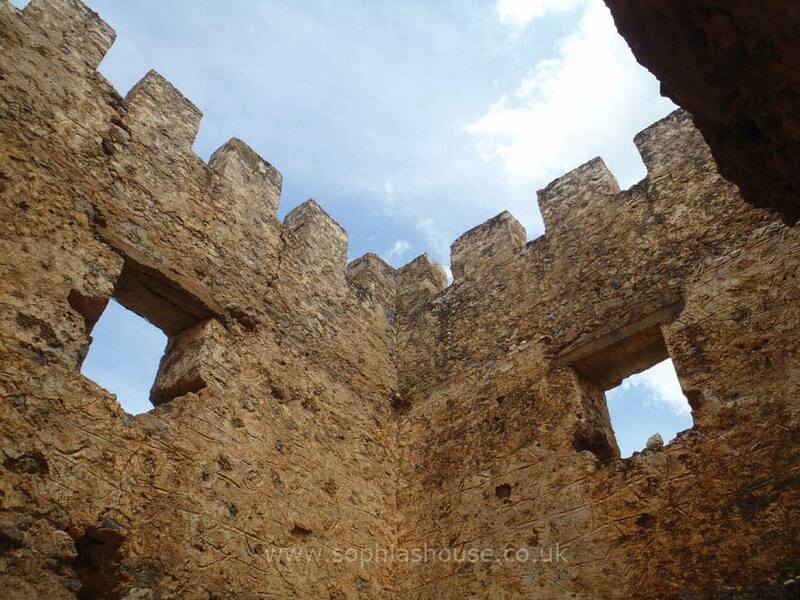 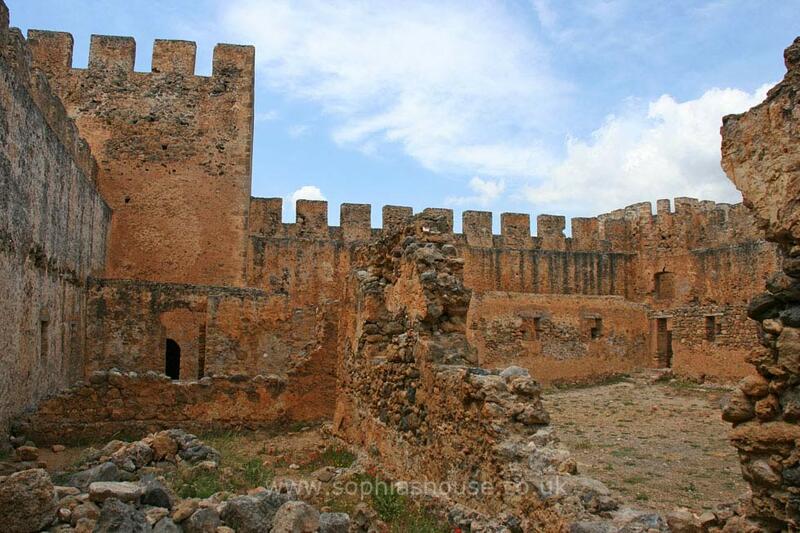 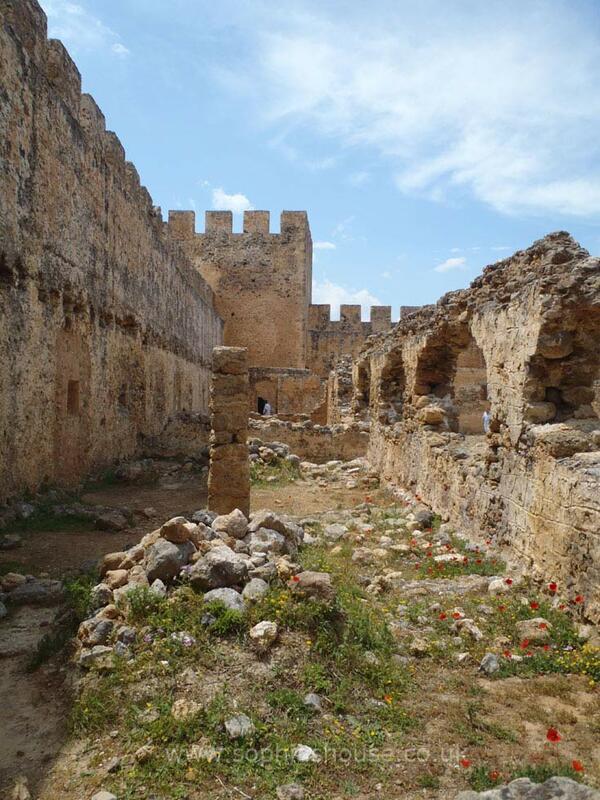 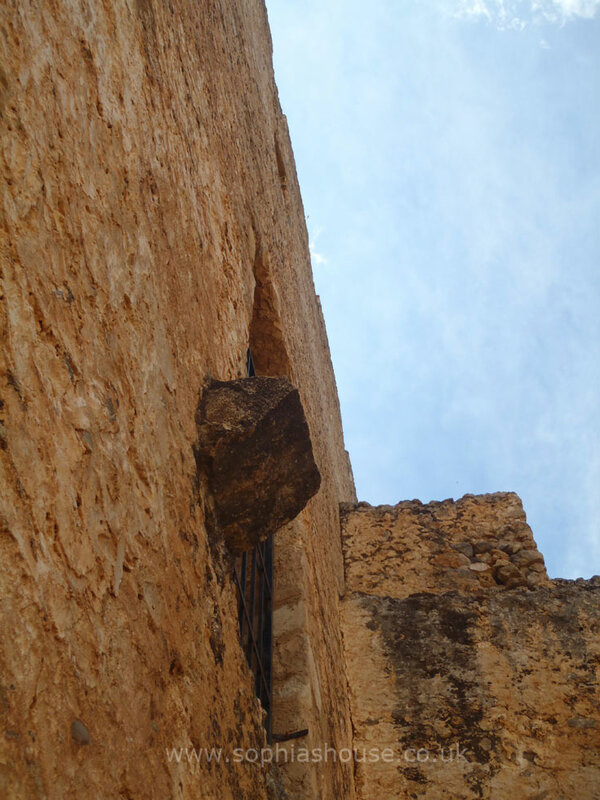 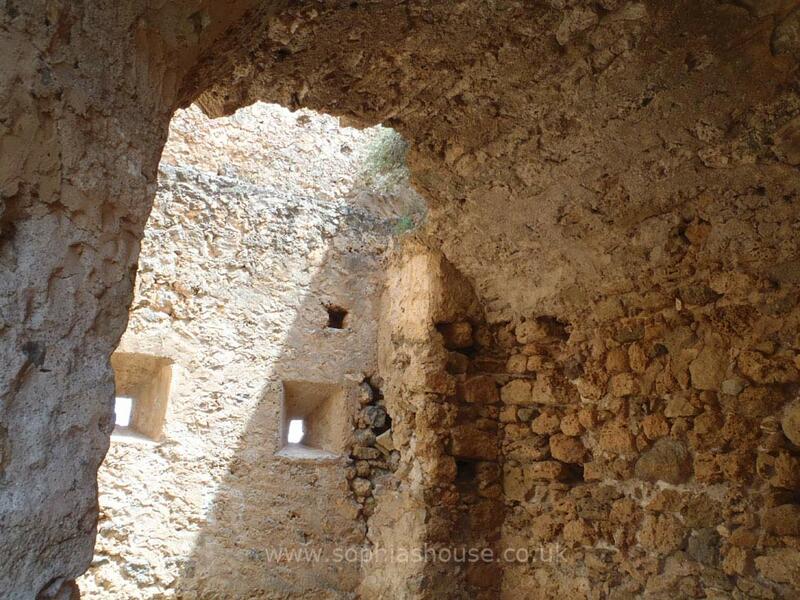 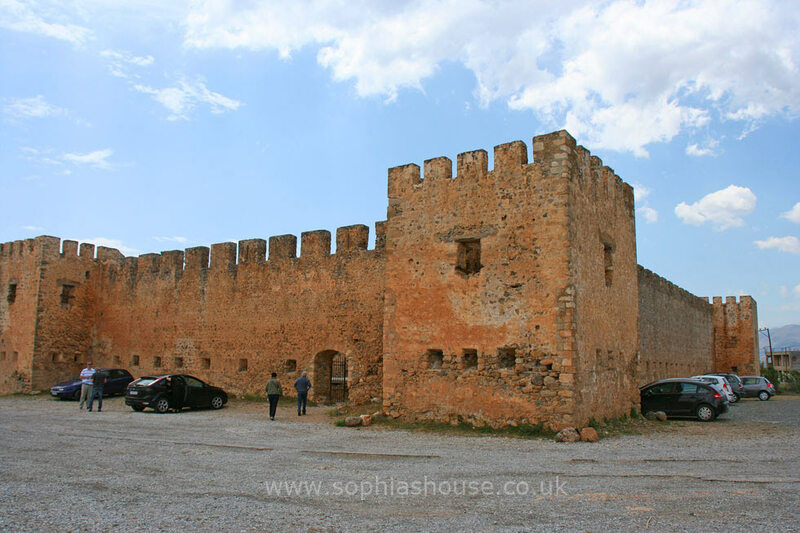 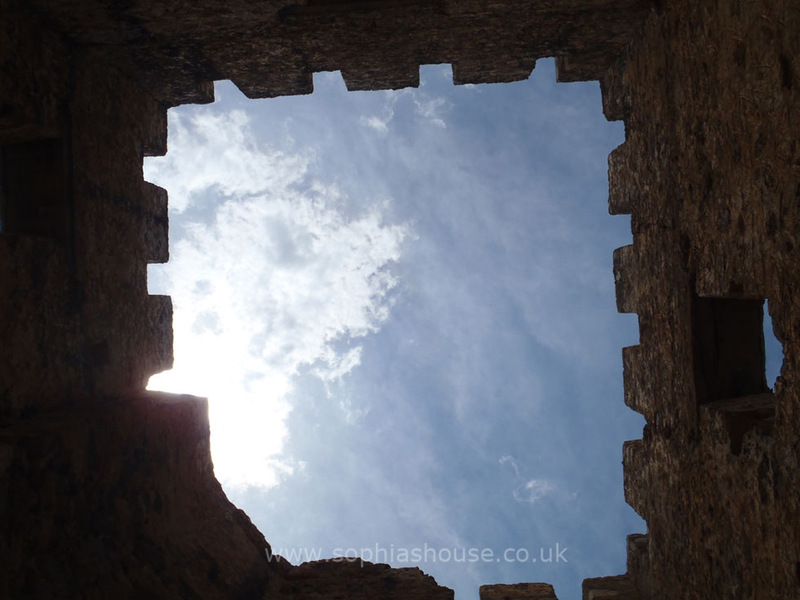 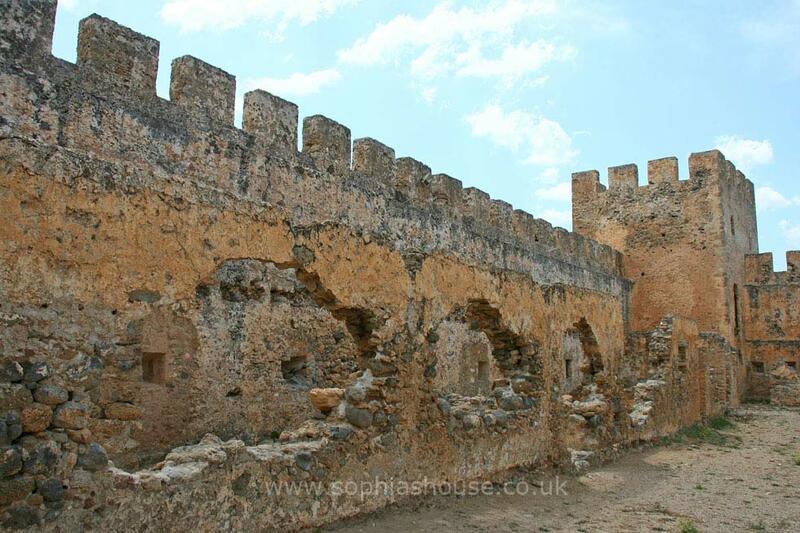 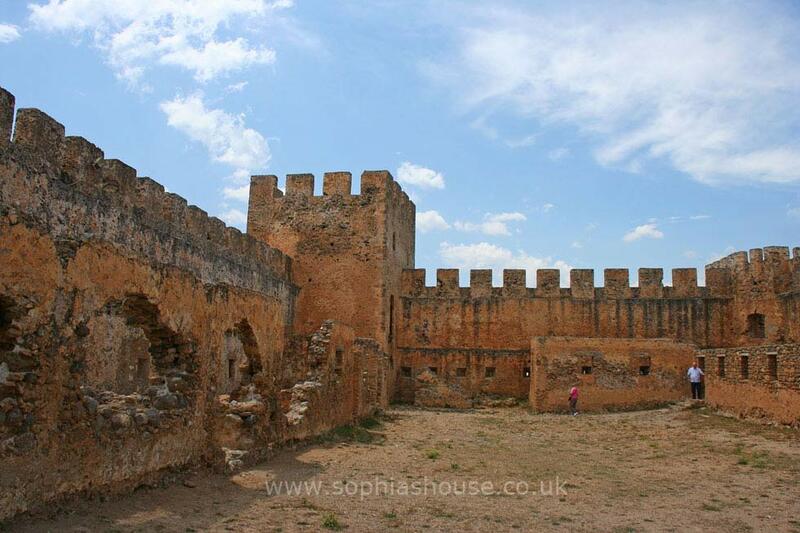 You can easily imagine life within the fortress, It has survived time quite well, it is easy to see the seperate rooms that were used for storage, also present are the remains of barracks, stables and the bastions.